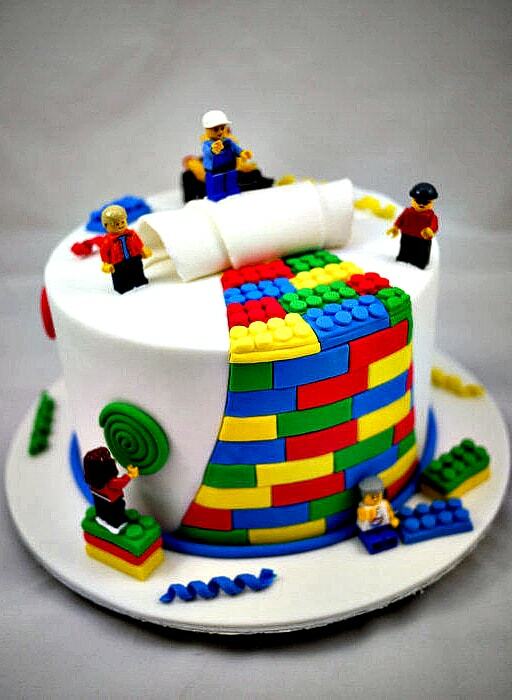 This Lego Cake Ideas article has been pinned on Pinterest almost 125,000 times! Click to repin it here! 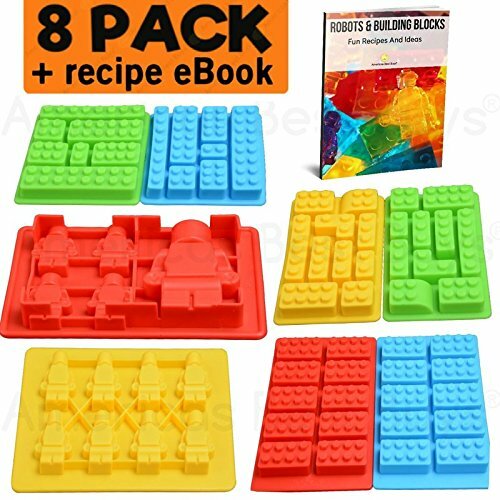 You know how sometimes you're searching online for craft or baking ideas, like LEGO cake ideas, and you come across such a perfect example of what you're searching for that immediately get discouraged? Or this one, because I could practice cake decorating and study “how to make a Lego cake” for 10 years and still not be able to do that! Out of all the LEGO cake ideas I've seen online, that cake amazes me the most. But there's no possible way I could pull that off, and I only know one or two people who could even come close to making a LEGO cake like that. But I'm not going to feel bad about it, and neither should you. You don't need to be a professional cake decorator to make an amazing LEGO birthday cake! The key idea to remember is that kids want CAKE first; they want a cake with a fun design second. To me, this means: do your best to make the LEGO cake your child wants, but don't sweat it. If the cake and frosting taste good, that's really all that matters to everyone attending the birthday party! 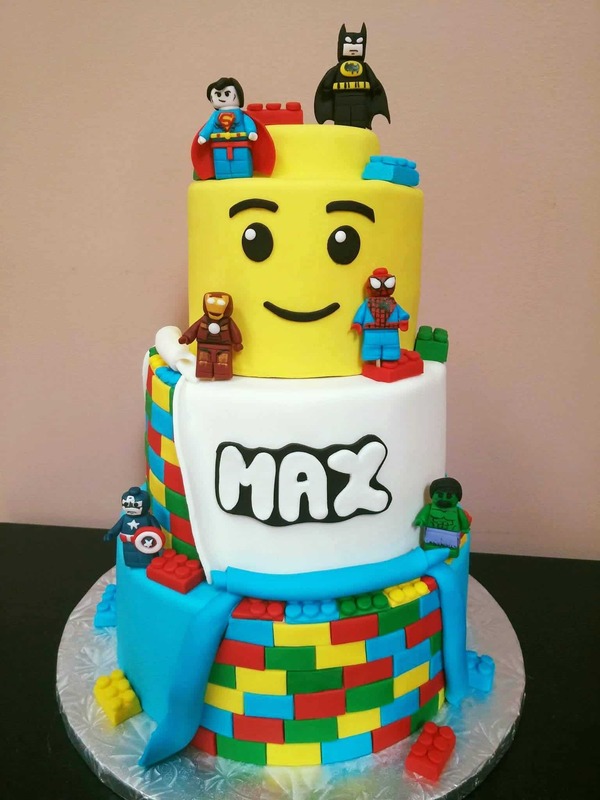 Share this post by pinning it on Pinterest, then follow me on Pinterest!I'm all about saving time, and these easy LEGO cake ideas are definitely a big step in that direction. Depending on the complexity of the design, some will obviously take longer than others. But I'm positive that all of these LEGO birthday cakes are easier to do than that crazy creation from Cake It! 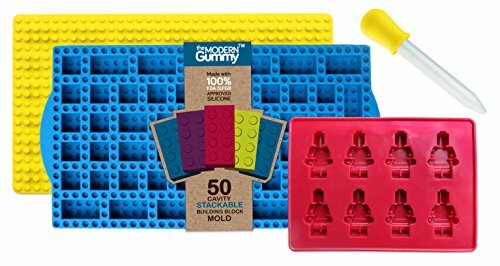 Silicone Mold for LEGO lovers + FREE BONUS TIPS & RECIPES E-BOOK! 1. These LEGO cupcakes look positively lovely when frosted with pale yellow frosting and topped with strategically arranged LEGO candy blocks. 2. Mom Vs. The Boys has another variation on adorable cupcakes decorated with candy bricks. Tinting the cupcake batter before baking is a nice touch! 3. 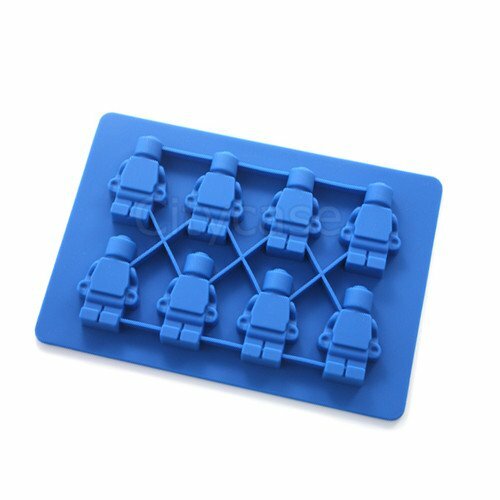 These LEGO cookies are super clever! 4. 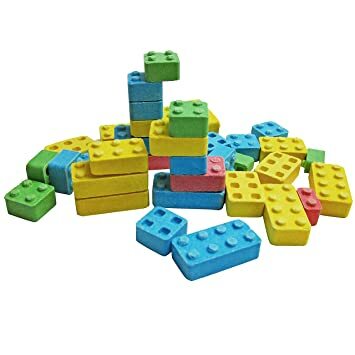 It looks like this LEGO cake idea used LEGO Duplos or Mega Bloks, but the idea can definitely be applied using traditional LEGOs. Just press the bricks into a sheet cake in the shape of a number for the age of the birthday boy or girl! You can even use a store-bought cake if you'd rather not bake. PS: How cute would this Duplo Number Train be on top of a cake? 5. Surviving the Stores has a fantastic article on How to Have a LEGO Party for Under $100. 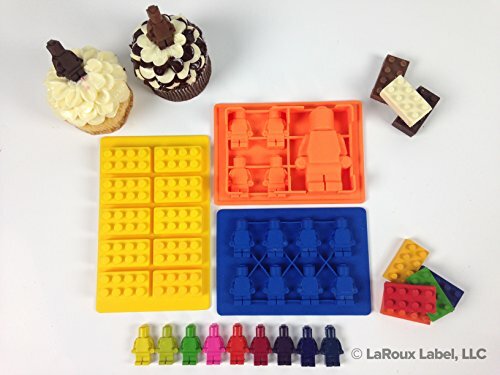 Check out how the author made amazing homemade LEGO cupcakes with buttercream frosting, then made her own LEGOs out of fondant! 6. If you have any experience working with fondant this LEGO Nijago cake is visually impressive but doesn't look all that complicated to make. 7. 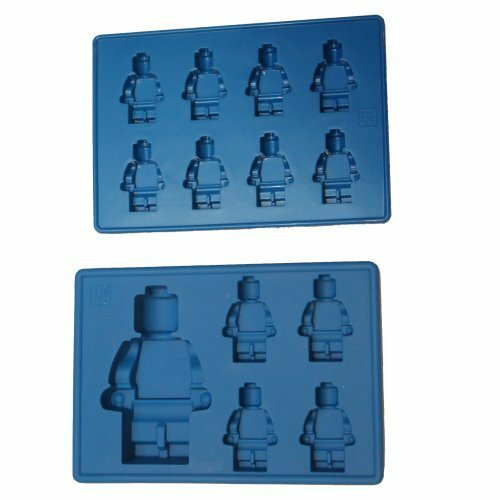 Make or buy any cake you want, then create a LEGO Minifigure cake topper with a handmade banner! 8. 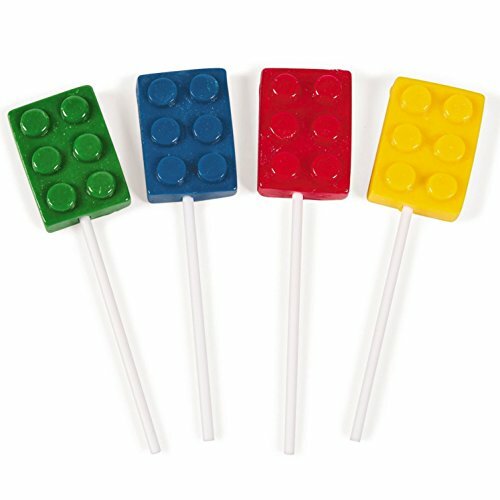 These LEGO cake pops are adorable! I love that they use yellow candy melts to streamline the process. Make them even easier by making LEGO head marshmallow pops instead of cake pops! 9. These are fantastic step-by-step directions for making your own LEGO brick cake with Oreo cookies. 10. There's more LEGO cake pops on Spotgirl's LEGO Party blog post, but keep scrolling down to see the little LEGO minifigure with a LEGO cup in his hand. A birthday candle is in the little cup, and the end result is insanely cute! 11. 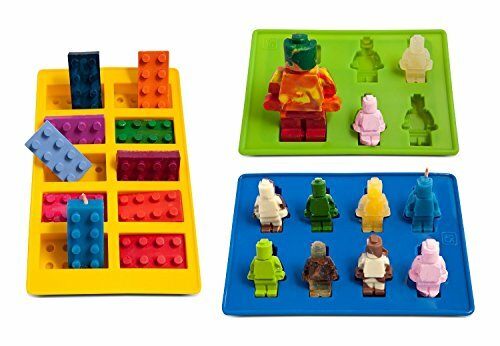 This building blocks cake features different sizes and styles of bricks for a fun twist on the LEGO cake idea. Be sure to use gel paste food coloring to get those vibrant colors. 12. Don't miss how this mom wrapped the birthday gifts in an adorable LEGO style while you're checking out her amazing homemade LEGO cake topper made with a combination of plastic bricks and candy bricks! 13. 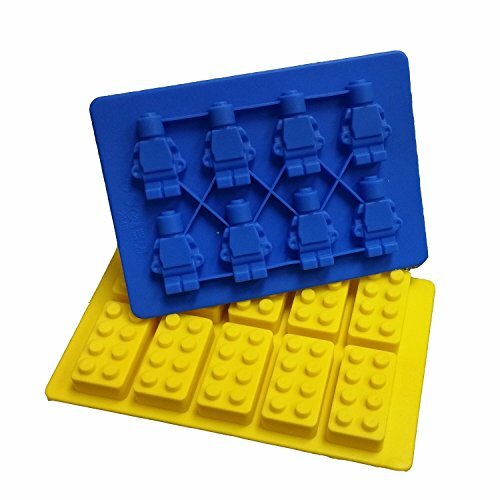 So many LEGO cake ideas can come from this basic LEGO decorating idea: Use a plain cake from a store then decorate it with fondant in primary colors (or Wilton Sugar Sheets?). Save money on cake decorating tools, too! 14. Use Reese Peanut Buter Cups to make the dots on the top of cakes in the shape of LEGO bricks! 15. 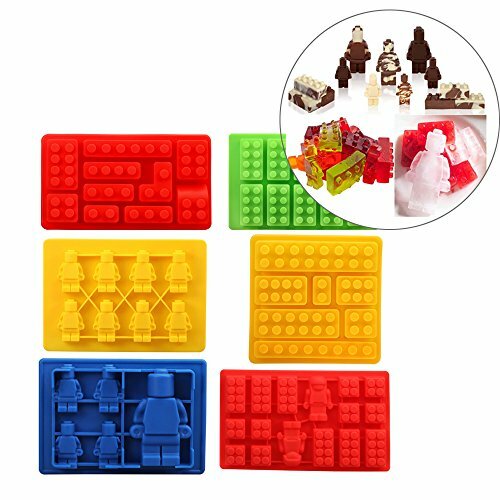 This chocolate LEGO cake has homemade LEGO brick candies made from this building bricks candy mold. Use different Wilton melts for easy variety! 16. I kind of love how easy and silly this 2-layer Lego head cake is! 17. This is an excellent way to decorate and personalize a cake if you don't have confidence in your own skills with frosting, fondant or other cake decorating materials! 18. It's not a great tutorial, but this LEGO cake involved a homemade cake and pieces from one or two LEGO Duplo sets placed over the top. It looks like the baker from this photo incorporated pieces from the Duplo Number Train and the Duplo My First Garden. 19. This is an adorable idea idea using the famous giant cupcake pan to create a homemade LEGO cake. 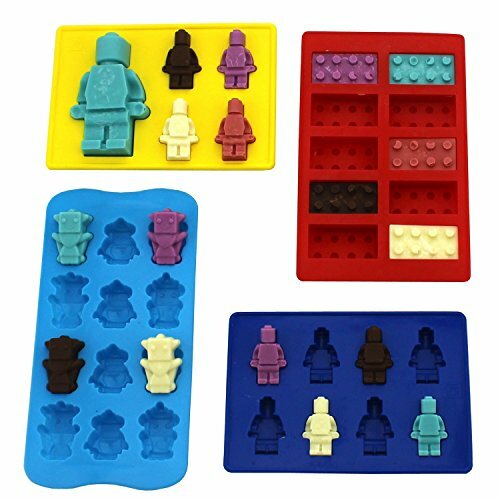 The decorator made homemade candy LEGO minifigures with these candy LEGO minifigure molds and used M&Ms to add fun and color to the design! 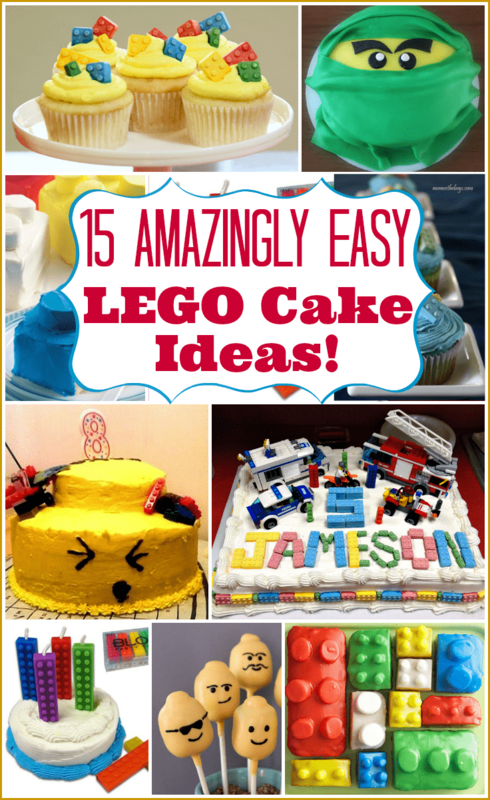 My first list of 10 Easy LEGO cupcakes and LEGO cake ideas went viral on Pinterest! Every one of those LEGO cake ideas is different than those listed above. 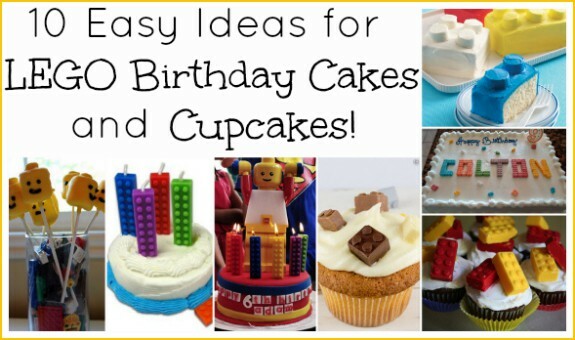 Which of these LEGO Cupcakes and LEGO cake ideas is your favorite? I’ve made a Lego cake for one of grandsons birthday. I found that working with fondant in Colorado is very challenging. It turned out great but was tough to make all the little Legos before the fondant dried out. I did cover it with a damp towel but I had to work really fast. Very good ideas for Birthday Cakes , I am definetly going to try this with all your instructions. Thanks for sharing.